Sandking is a decent initiator and a ganker hero that all of his skills is AoE. Sandking is an active ganker with high mobility. He have a jumping stuns to initiate a teamfight. And more importantly he have a high damage AoE wich is his ultimate. Usually you need a Blink Dagger for this hero for easier and more range initiation. Your main ability for ganking purposes. You need this skill to stun the enemies and deal some damages. 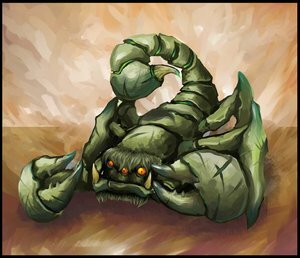 Very good ability to catach enemies, and makes the enemies get killed by your team. You can combine this ability with a Dagger, the initiation range will be so far. After using this skill you can either use Sand Storm or Epicenter. It is based on the situation and the cooldown. Nice skill to harass the enemies and creeps. It does deal a decent damage per second to the enemies. You just need to wait under your Sand Storm and all the enemies who touched it will feel some pain. You are become invisible but your location is obvious because the Sand that comes out near your body. The enemy just need Sentry Wards or Dust to reveal you. Beware! 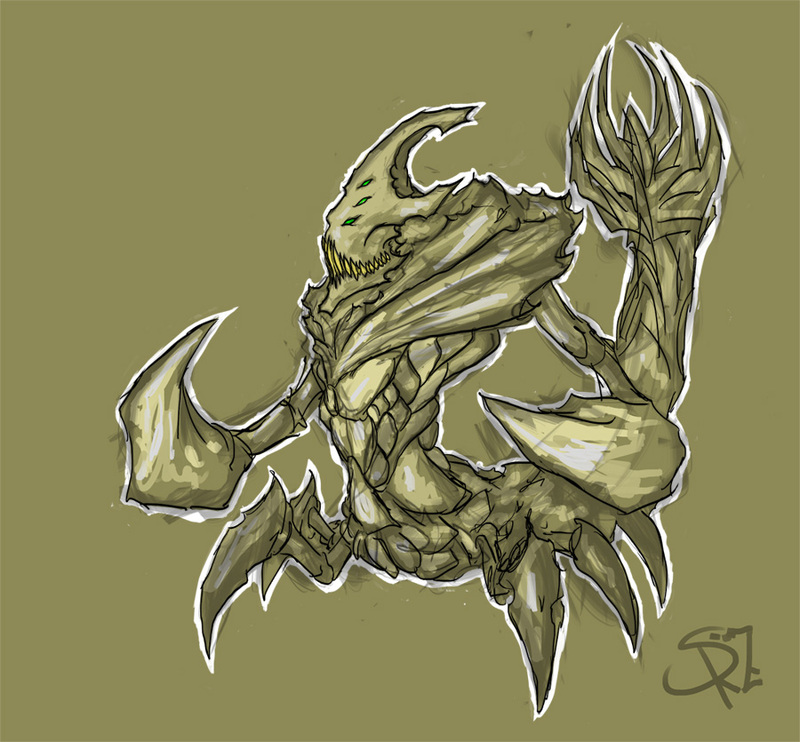 Sand King's attacks inject a venom that causes enemy units to explode violently upon death, spreading area damage. Caustic Finale is a Unique Attack Modifier, and does not stack with other Unique Attack Modifier. If you attack an opponent, makes your opponent to blast when he die and deal some damages. A very good skill for farming and harassing. Just hit every creeps 1 time, and wait until the creeps death, and you will gets a nice AoE damage. 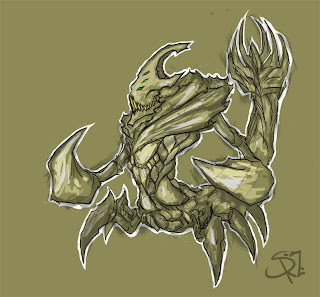 CHANNELED - After channeling for 2 seconds, Sand King sends a disturbance into the earth, causing it to shudder violently. All enemies caught within range will take damage and become slowed. Each subsequent pulse increases the radius of damage dealt. Upgradable by Aghanim's Scepter. Your ultimate skill, will deal a high AoE damage to all enemies nearby. Usually, you need Blink Dagger to position yourself into the middle of teamfight. First you need to channel this skill in the area where no enemies sees you, and after channeling is complete and pulses has already started, blink into the crowds of the enemies and deal tons of damages. And then you can burrowstrike after you jump. And then you can use Sand Storm after Burrowstrike. The weakneess is: You need channeling for this skill, and if you receive damage while doing channeling, this skill is cancelled and you must wait its cooldown, Actually you can use Black King Bar before channeling and makes yourself safe from channeling cancellation. Why Burrowstrike should be maxed first? This is your main skill, you need it to stun your enemies to start the gank or a teamfight. You also can use this skill for defensive purpuse so that you can save lifes. Why Sandstorm maxed second? To helps you with some damage per second after you initiate a teamfight, this also can provide invisibility to protect yourself against enemy. You need to know your part in the game, are you a support? or there is no rule? If you are a support, you do not need to lasthit the creep. You should let your carry to last hits all the creeps. But if there is no rule, you need to lasthits the creeps and also denying. If your enemy is on a low guard, you can initiate an attack with your Burrowstrike. For example: If there is an enemy who are surrounded by your creeps. And then you can knock him together with your friends. 2. go away from the enemy. Mid game is the time for ganking. You need to patrol around the map and find an easy target you can kill easily. You are one of the best ganker in dota. You have the combo Burrowstrike + Epicenter that will deal tons of damahe. You need to coordinate a gank with your friends, and gank as much as you can. 1. Talk with your teammates about who is the target. You should focus fire on 1 hero in a gank, because if you don't communicate well you may attack the A person and your teammates attack the B person, and that is a bad gank and can lead to failure on getting the kill. 7. if the enemy hasn't die yet, chase the enemy using Burrowstrike and Blink Dagger. The more your team get kills, the more chance your team will win the match. You will need Arcane Boots to provide you mana for ganking, this boots also helps to fulfill your teams mana. You also need Blink Dagger for faster mobility and more range for initiation You can Blink-Burrowstrike to initiate a gank, and then use Epicenter to kill the enemies. Or if there are enemies that pushing your tower, you need to help your friend defending it. Here your main part is to initiate a teamfight. You need Epicenter the most in this stage of the game. You need a Blink Dagger to prepare the Epicenter. You+ your team can wait at the base or in the jungle secretly if the enemies are trying to push your base. You should cast epicenter in the fog of war and then jump using Blink Dagger and moves the pulse into the enemy's concentration, thats how you should started a teamfight. After epicenter, you need to Burrowstrike and then cast Sandstorm, and with the helps of your team I believe your team shold be OWNING. Why Arcane Boots? With Arcana Boots, you can fill your mana for your skills. And also you can helps team to fulfill their mana. Blink Dagger is a perfect item for Sandking for initiating purpose. Why Aghanim's Scepter? Make an initiator more stronger because your ultimate skill damage will increase. Increase the chance of winning a teamfight. Why Black King Bar? It makes you can channel your ultimate without afraid of getting cancelled. It also gives you survivability in a teamfight because you will get magic immunity during teamfight.